Home / brand new / música / The Divine Comedy / The Divine Comedy Drop New Single "Queuejumper"
The Divine Comedy Drop New Single "Queuejumper"
The Divine Comedy, the project of acclaimed British songwriter Neil Hannon, will release a brand new album, Office Politics, on June 7th and has just unveiled its lead single Queuejumper. This is quite an infectious piece of music with a timeless atmosphere. Check it out below! 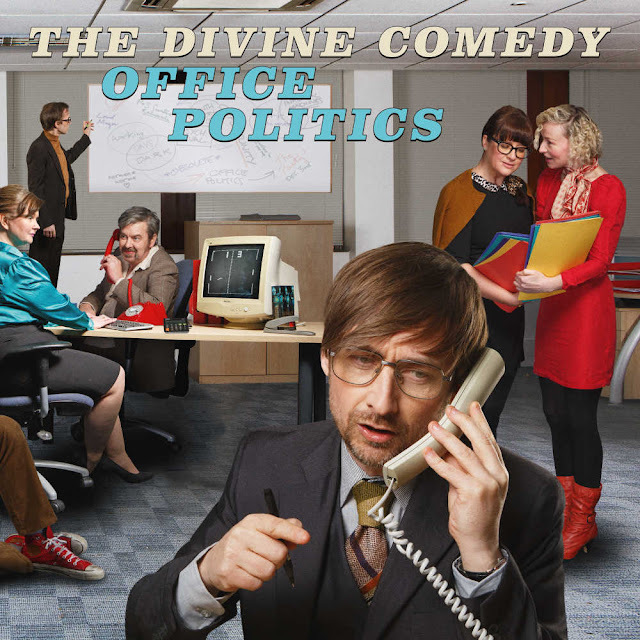 Office Politics is a 16 track tour de force full of inventive, timeless music peopled with a typically irreverent cast of characters. It has synthesizers. And songs about synthesizers. But don't panic. It also has guitars, orchestras, accordions, and songs about love and greed. But Office Politics central characters are the machines. Or Infernal Machines as one track rages. The Divine Comedy will play the following UK and Ireland headline tour dates. Tickets on sale from 9.00am on Friday April 12th!